Micromax India has given the best gift to India launching it’s affordable Yu brand of Cyanogen OS-based smartphones, Micromax Yu Yureka (AO5510) with 4G LTE, 64-bit 1.5GHz octa-core Snapdragon 615 SoC and 13-MP camera in Indian market priced at Rs 8,999 in Moonstone Grey colour option. The Pre-Registrations will start from Friday(2PM), 19th Dec, 2014 through Amazon will be available from 2nd Week of January 2015. It will take on mid-range smartphone HTC Desire 820. The all new Micromax Yu Yureka (AO5510) is the best 4G smartphone in affordable price supports Dual-SIM((4G+3G)),Micro SIM, Bluetooth 4.0, Micro-USB, Wi-Fi 802.11 b/g/n, GPS, and a 3.5mm audio jack comes with a bigger 5.5-inch HD IPS display with resolution (720×1280 pixels) and a pixel density of 267ppi with Gorilla Glass 3 protection promising crystal clear wide-angle view perfect for watching movies and playing games. Micromax Yu Yureka runs on latest Cyanogen OS, Cyanogen OS 11 based on Android 4.4 kitkat and Android 5.50 Lollipop which allows you to enjoy your favorite apps from Google play and powerful 64-bit 1.5GHz octa-core Snapdragon 615 SoC (MSM8939) processor make your multi-tasking breezy reduces hit and allows to run your apps smoothly. It’s 2GB RAM, 16GB internal memory and 32GB Expandable memory is enough to store your favaurite apps, videos, movies and games. Micromax Yu Yureka powered by a powerful 2500mAh Li-Po battery with 25% extra power work like 3000mAh battery promising talk time up to 8 hours, standby time up to 310 hours, video playback time of up to 6 hours, and gaming up to 4 hours measures 154.8x78x8.8mm. It also offers you mind-blowing multi-tasking experience with Cat. 4 4G LTE with up to 150Mbps download speeds and 50Mbps upload speeds supports Band 40 and Band 3. At last few honest word to say that Micromax Yu Yureka is the best smartphone in affordable price coming to rock and rule the Indian market. What you think? Please be open to give your view. And all things apart it’s a smartphone that has specs dat of htc desire 820. So yeahh feeling happy dat finally an indian firm competing with such global firms and performing better. It is best feature mobile till now in low price. So according to me take it as soon as possible, Because low price mobile at high feature sell soon.Whenever it come in the online due date. 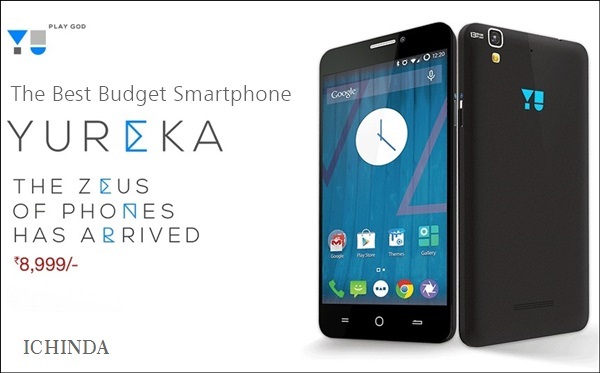 Nice article, Micromax launched Yureka, Sale is going to start again on amazon on 22 jan 1015 hurry up….Be the first..